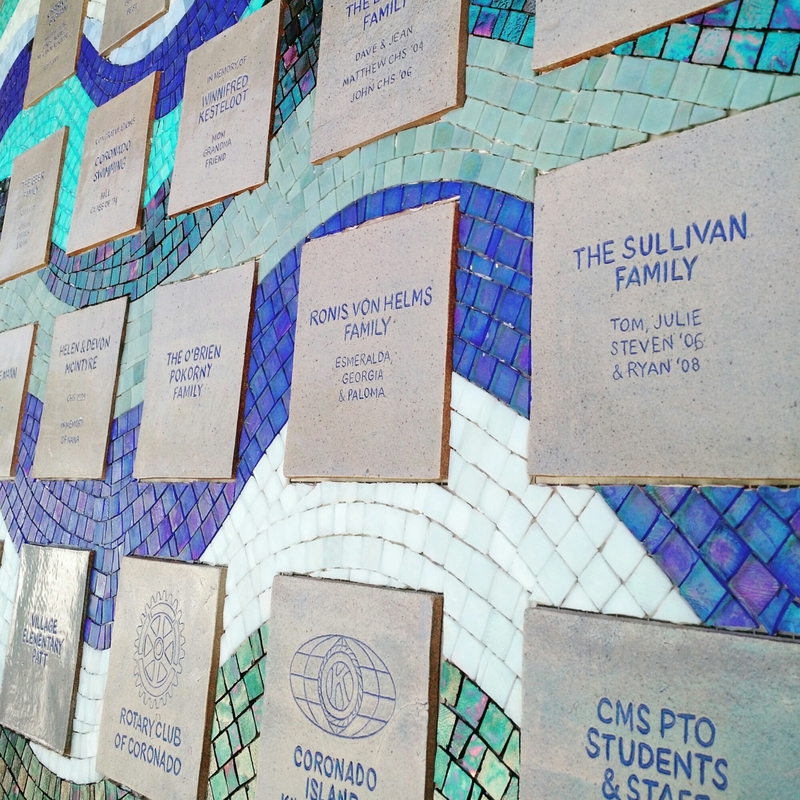 Another piece I’ve been working on is a donor wall for the Brian Bent Memorial Aquatics Complex in Coronado, CA. 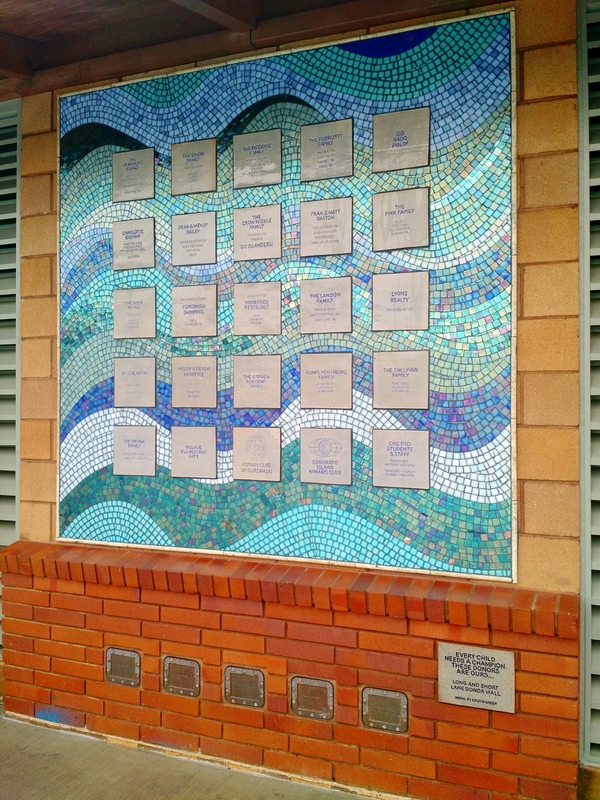 This wall is to commemorate the long and short lane donors in the original construction of the pool. I hand carved the tiles out of clay and fired them in the kiln at the high school. It was hard work, and the first time around they didn’t come out well enough to use. So I redid them and lucky for me, they second round came out GREAT. Ceramic work can be such a crapshoot. I’m very happy with the final result, like a love letter to the donors.